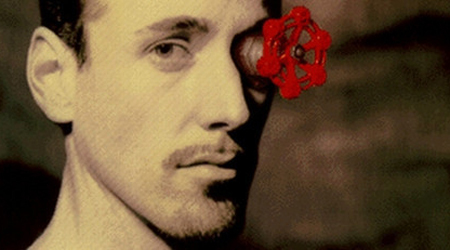 On commence à avoir quelques informations sur la présence de Valve à la Game Developers Conference qui se tiendra du 2 au 6 mars 2015 à San Francisco. Si des rumeurs persistantes évoquent des révélations sur les Steam Machines et une vraisemblable présentation de la dernière version du Steam Controller, d'autres informations officielles circulent, notamment concernant les conférences auxquelles des employés de Valve participeront. Le mercredi 4 mars, de 17h00 à 18h00 heure locale, Alex Vlachos, graphics programmer dans l'entreprise de Gabe Newell qui travaille sur le Source Engine 2, parlera d'un « rendu de réalité virtuelle avancé » (Advanced VR Rendering). La description de la présentation évoque le fait que, depuis mi-2013, Valve disposerait de prototypes de casque de réalité virtuelle plus avancés que ceux disponibles chez d'autres développeurs. Grâce à cela, l'entreprise aurait pu acquérir de nombreuses connaissances sur le sujet et souhaiterait les partager. Valve has been creating advanced prototype VR HMD's since mid-2013 that are more advanced than other developers currently have access to, and this head start has allowed us to gain a ton of VR-specific rendering knowledge that we'd like to share with developers who are actively working on VR or plan to in the near future. This talk will start with the base requirements of VR rendering, and it will progress into advanced rendering topics focusing on both performance and visual quality. First generation consumer HMD's are expected to require renderers to shade over 4 million pixels per frame at a minimum of 90 fps. Due to the wide FOV of these HMD's, each pixel ends up feeling lower resolution than viewing the same image on a monitor and requires better shading algorithms than rendering in non-VR. Higher resolution rendering and higher quality pixels at much higher frame rates than games traditionally target is cause for taking a step back and rethinking many aspects of rendering. Some topics that will be covered include: efficient stereo rendering, reducing rendering latency, saturating the GPU despite synchronization points, reducing pixel cost for low-priority pixels, specular antialiasing, constrained anisotropic lighting, and other tips and tricks relating directly to VR rendering performance and quality. La veille, le programmeur Sergiy Migdalskiy et le Software Engineer Dirk Gregorius auront participé avec des collègues de Blizzard Entertainment, Mediocre et Respawn Entertainment à une conférence sur la physique dans les jeux-vidéos. Game physics engines are used to create games like Portal, Titanfall, Smash Hit and Diablo 3. Games would be far less compelling without the realistic physics simulation that engages the player's intuition and stimulates their motion awareness. Physics has become a staple of the modern gaming tradition as we try to re-create and re-interpret the world around us. The Physics for Programmers tutorial brings together speakers from Blizzard, Respawn, Mediocre and Valve. Topics include numerical integration, contact manifolds, destruction, solvers, networking and optimization. The focus is on rigid body physics and real-time simulation in games. There will be a mix of introductory topics, recent algorithms and practical tips. Enfin, le jeudi 5 mars de 10h à 11h heure locale, Johan Andersson (Technical Fellow, Electronic Arts, Frostbite Engine Team), Pierre-Loup Griffais (Developer, Valve Software), John McDonald (Developer, Valve Software), Niklas Smedberg (Senior Engine Programmer, Epic Games), Dan Baker (Graphics Architect, Oxide Games) et Aras Pranckevicius (Graphics Architect, Unity Technologies) évoqueront l'avenir de l'OpenGL. A l'initiative du groupe Khronos, l'objectif est de le rendre plus moderne et attrayant. Avec ses Steam Machines fonctionnant sous Linux, rappelons que Valve a tout intérêt à mettre en avant l'OpenGL. Cela s'inscrit dans une stratégie déjà visible en mars 2014 lorsque l'entreprise de Gabe Newell avait rendu public son convertisseur DirectX à OpenGL. Join us for the unveiling of Khronos' glNext initiative, the upcoming cross-platform graphics API designed for modern programming techniques and processors. glNext will be the singular choice for developers who demand peak performance in their applications. We will present a technical breakdown of the API, advanced techniques and live demos of real-world applications running on glNext drivers and hardware. Certes, tout cela peut sembler bien technique mais il faut se souvenir que la GDC n'est pas destinée au grand public et est réservée aux professionnels. Cela permet toutefois de cerner les évolutions à venir. J'veux des images Source 2 en FPS ! Je veux Half-Life: Source 2 ! Je veux OpenGL Next !